This post was last modified: 30 Jun 2011 06:06 AM by john. I have just read this superb book and recommend it to everyone. It tells the story of a family's decline due to the father's religious beliefs. It is set in a Mormon community in Utah in the 1950's. It is told through the eyes of the daughter in the family and is so well written that I felt I was there with them. Even when their troubles seem to be over I was left wondering. They seemed to have all learned a lesson and so indeed had I. There is so much I could tell about this book but I do not want to begin to tell the story too much. I feel you can only appreciate a book like this by reading it. 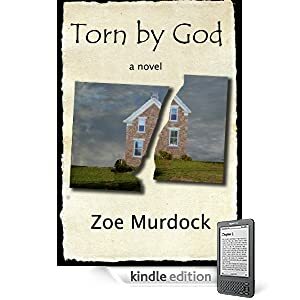 The author, Zoe Murdock, has written a brilliant book here and although it says at the beginning it is not a true story, it appears to be based on fact. It goes from very happy to extremely sad and builds slowly but very surely. As I said, I would recommend this book to everyone, I don't feel you would be disappointed. I read this too some months back. I thought it was based on true events during the 60's but I may be mistaken. I found it sad & was often angered by scenes. A tragic tale of how one can become consumed with belief to a state of obsession, one that takes preference over loved ones health, feelings, morals and life. Its also a tale of loyalty and love, guilt and fear, all of which is kept within the family.